Essential Property Maintenance is a full service landscaping contractor based out of Calgary, Alberta. We specialize in planting privacy hedges using a variety of species and we also plant decorative trees to make a landscape look more established. From planning out the proper varieties of trees for your property to planting a privacy hedge we’ll be able to help. Schedule Your FREE Calgary Privacy Hedge and Tree Planting Estimate Today! Are you looking to add beauty and value to your home, residential development or commercial property? Look no further than the addition of trees, shrubs and bushes into your landscaping design. Very easy to maintain once established, trees and shrubs continue to increase your property value as they mature. To get the most out of planting trees and shrubs on your property careful consideration is needed to select the right location, the right time to plant (early spring or fall), even down to the right type of trees for your property. Your land and soil conditions will help guide us to the right decision. Our free estimate services allow our team of professionals to not only evaluate all of those important factors, but to also let you know what the costs will be for your project. We provide of the most competitive of Calgary lawn care prices. We’ve planted hundreds of trees and hedges throughout Calgary for our commercial and residential clients over the years. It’s the initial species selection and the care and meticulous prep work we do that contributes to the beautiful results we’re able to achieve with our clients trees and shrubs. We will work with you to determine the tree and shrub species we plant. We discuss irrigation options with you if you don’t have any irrigation in place. We show up on the scheduled days and plant and maintain your trees and shrubs as promised. The final cost of your trees will be determined by the species you’ve chosen, how many of them and what size they are. We’ll also need to consider the site they’ll planted and how much labor will be required. 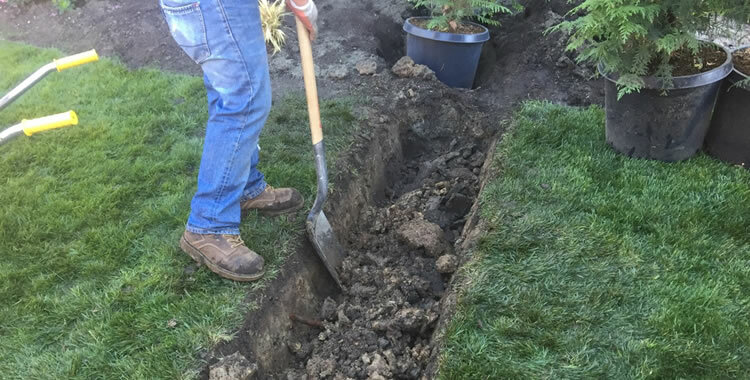 We’ll only be able to provide you with an accurate estimate for planting and maintaining your trees and shrubs after a thorough site inspection.